Ibrox Noise: Have Steven Gerrard & Dave King just dropped the 'truth' about Wallace? Have Steven Gerrard & Dave King just dropped the 'truth' about Wallace? As the fallout from the AGM begins, with yet more digestion of the meeting taking place, we learn more and more about what may really be going with regards certain areas, and one of the most revealing was the Graeme Murty Lee Wallace saga. Dave King exalted the virtues of the Auchenhowie coach and praised the ‘personal sacrifice’ the-then interim coach made last season, and went as far as to label him his ‘man of the year’. If we couple this with manager Steven Gerrard’s 180 on Wallace, where early this season he wanted Wallace back and available for selection, he is now stating the ex-captain has no future under him and even auxiliary left backs are ahead of him in the pecking order. It seems that, from above, Graeme Murty remains in favour among the Ibrox hierarchy, and if we’re honest, how it looks is that Steven Gerrard has been told by his bosses that Wallace isn’t to play for us again as a result, no matter. King is clearly on Murty’s side, and what is clear from the infamous fallout at Hampden is the squad that day know what really happened, and whatever it was, the board have consequently sided and continued to side with the-then manager over it. This either points to bizarre, disquieting loyalty to a coach ex-manager Mark Warburton brought in, over a club stalwart and legend, or that something more and possibly disturbing really happened and whether the truth will out on that one only time will tell. Either way, one shareholder made it clear the treatment of Wallace was ‘disgusting’ in their opinion, and on the face of it it’s hard to disagree with that. Perhaps the truth will emerge one day. Or perhaps it really was just nothing more than a disagreement and the board really did just choose Murty. In fairness, he did do them a favour by accepting the job ‘permanently’ so perhaps they owe him one? Who knows. Who… will ever know. I more or less called this out the other day. LW is fit and ready to play and be selected. But you can bet anything you want on him picking up another injury or a breakdown in training which rules him out for selection. A fantastic player for our club great servant and papped to the side like an auld sack of spuds. 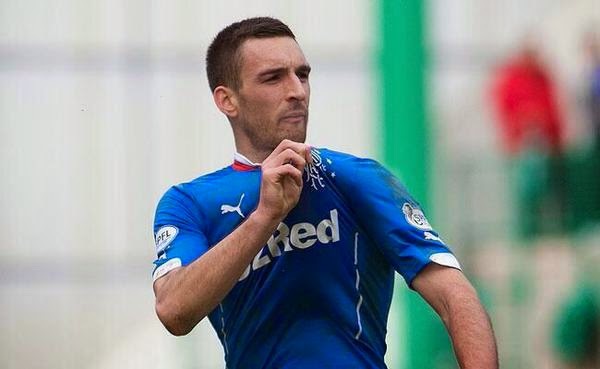 Lee Wallace Deserves another shot! Stevo, I don't know what happened that day. I am quite suprised that you do. But whatever the truth, the fact is that we now have to pick a side. On one side Lee, a player I have always respected and loved for staying. On the other side King, Murty, Gerrard and Glasgow Rangers. Nobody is bigger than the club, so I will regret his leaving, but it is inevitable. Agreed but when its between Wallace and Murty? Stevo, it's not between Wallace and Murty for us. It was, maybe, that call fro King who had access to more information and witnesses than us. But for us its Wallace v King, Murty, Gerrard and Glasgow Rangers. Choosing murty the man who said “we must respect Celtic”. We may as well bend over. Disgraceful how wallace has been treated. He gave his all, Murty gave f*** all but we are expected to accept Mitty and watch Wallace rot. Disgrace. Agree with Jamie1990. I don't hate Murty, I just think we need a better coach for our young players. Lee needs to think about what's best for his career, now. LW has been treated terribly by the club. He should run his contract down and leave on a free. The boy gave up his international career to stay at the gets, and look how he's been treated.